With the rain coming in and a late start in the day, this year’s first weekend of the Spoon River drive was shorter one than usual, but we still had a chance to see some of the sights and sounds that this two weekend event the first and second weekend in October brings about. 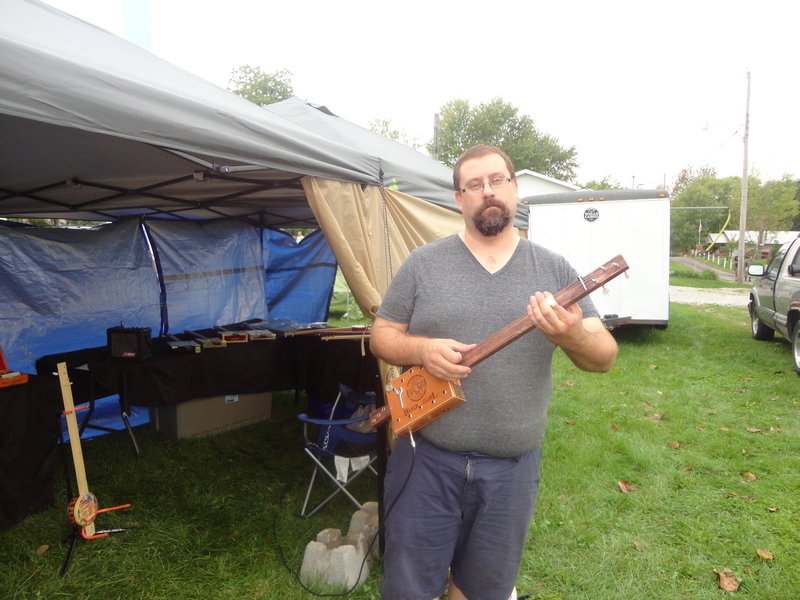 My favorite sighting at this year’s trek was this man that was playing a cigar box guitar that he built and was selling. Old stoogies never sounded so good! I thought this was something new until I googled this and found it was first constructed during the Civil War and that the guitar is also called a chordophone, who knew?